Nutrition And Wellness | Your Health. Your Lifestyle. The biggest factor in a diet is calories in versus calories out; your total calories will determine if you lose or gain weight. Eating too many calories will lead to fat gain. But if you don’t eat enough calories you will not gain lean muscle. Setting a target calorie intake and counting the amount of calories you eat each day is vital to losing fat and gaining lean muscle. You should drink plenty of water every day. Try to drink at least eight glasses (or 64 oz.) of water per day. The benefits drinking water provides are optimal hydration as well as a feeling of “fullness” without added calories. Sometimes people will mistake thirst for hunger. Because of this, staying hydrated can also prevent overeating. Insulin is the “storage” hormone. When it is secreted fat burning is blunted. By controlling insulin secretion by choosing low GI carbs you can decrease fat gain/increase fat loss. Stable blood sugar levels also improve energy levels and ones mood. All of our diets as based around insulin control, leading to leaner muscle gains with little to no fat gain. 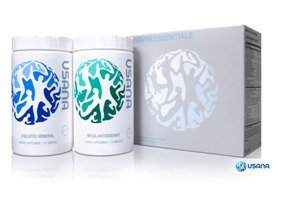 Essential fatty acids (EFAs) are vital to the proper functioning on your body. Dietary fats got a bad rap due to the diet fads of the 80’s and 90’s, which promoted eating as little fat as possible, but in reality EFAs are needed by the body and are part of a healthy diet. Eating fats does not equate to getting fat. In fact, most EFAs help support the fat burning process and maintaining a lean body. Do not be scared to eat good fats. EFAs are not the enemy. Also, be sure to supplement with a QUALITY EFA product, such as Scivation Essential FA. 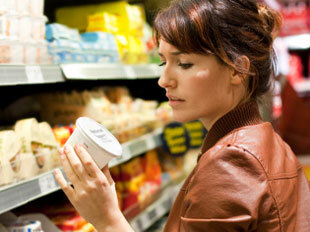 Many products are loaded with the stuff, but it might not be so bad for you after all. You probably perk up just at the thought of your morning joe or afternoon soda break, but maybe you feel guilty about downing all of that caffeine. Well, you can relax- unless you’re knocking back coffee by the potful, you might not need to kick your caffeine habit. Yes, it’s true! In addition to making you feel more alert, moderate caffeine intake can actually improve your mental and physical performance, research shows. Caffeine might improve your mood, too. A recent analysis of the long-running Nurses Health Study revealed a reduced risk of depression among drinkers of caffeinated – but not decaf – coffee. Other perks associated with modest caffeine consumption include protection against gallstones and Parkinson’s disease. But of course, there’s a downside to overdoing it. Too much caffeine can cause jitters and tremors and in some susceptible people can trigger a panic attack. Caffeine can increase blood pressure and aggravate heart arrhythmias but that people who consume caffeine regularly develop a tolerance to most of its side effects. Still, even if you can down several espressos without getting the shakes, that doesn’t mean you should. Over the long term, excessive caffeine intake can cause you to lose more calcium through your urine than non-indulgers; that calcium loss might weaken bones and increase your risk of kidney stones. Up to 300 milligrams of caffeine daily is safe for most people. That’s about what you’ll find in three cups of regular coffee. But some people should use extra caution. People with coronary heart disease should have no more than 200 milligrams of caffeine a day, and they should wait to exercise for at least 5 hours after consuming any. That’s because caffeine might reduce blood flow to the heart, which could increase the risk of dizziness, fainting, and heart problems in people whose hearts are already compromised by disease. Osteoporosis sufferers should talk to their doctor about whether caffeine is safe, especially if they take the bone-building drug alendronate (Fosamax and generic) because caffeine can make it less effective. Pregnant women should consume less than 200 milligrams daily. Higher doses are linked to low birth weights in babies. One study found that drinking more than five cups of coffee daily increased the risk of spontaneous abortion. People with anxiety, heart palpitations, tremors, headaches, or sleeplessness might want to cut back on caffeine to see whether it helps reduce their symptom. In 2010, of the 3,328 calls to U.S. poison centers about a caffeine product, 62 percent were for people 19 or younger. One culprit, according to government health officials, is energy drinks. The hypercaffeinated beverages – with names like Amp, Monster, Red Bull, and Rockstar – are marketed to appeal to kids and teens, and some can contain more than three times as much caffeine per serving as colas. The maximum amount of caffeine children and adolescents can safely consume is 100 milligrams daily according to the American Academy of Pediatrics. Kids who overdo it risk sleep problems, harm to developing neurologic and cardiovascular systems, and even seizures and death. You might think you’re getting about the same amount no matter what, but coffee-shop offerings vary widely, and so do other similar products. 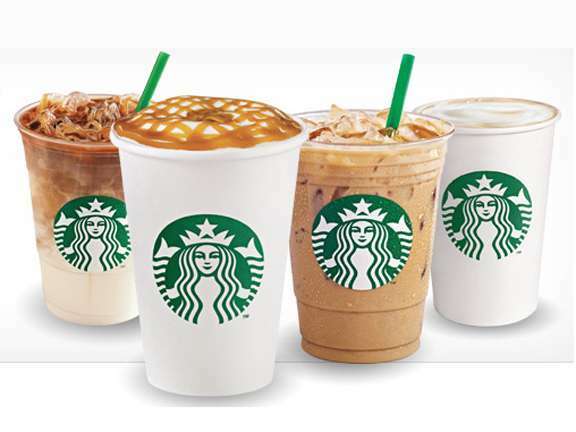 For example, a venti (20-ounce) Starbucks Bold Pick of the Day contains a pulse-revving 415 milligrams of caffeine – 70 percent more than the same size cup of Dunkin Donuts regular coffee. To make matters worse, manufacturers don’t have to disclose the amount of caffeine in a product. They just have to tell whether it has been added, as in colas or energy drinks. Caffeine that occurs naturally in chocolate, tea, or botanical ingredients such as guarana or taurine doesn’t have to be listed. If you don’t see caffeine info on a label, check the company’s website or contact customer service. Caffeine is technically not addictive, really! But it is tough to kick, you can clearly become physically dependent on caffeine, but that isn’t the same thing as addiction, in which you have a compulsion to use a substance and can’t easily quit even if you need or want to. But you are still likely to experience withdrawal symptoms such as headache and tiredness if you stop cold turkey. To cut back without feeling miserable, do it slowly. If you’re a coffee drinker, swap part of your regular brew for decaf and gradually increase the decaf. Try replacing highly caffeinated drinks with lower-caf tea. Caffeine consumption is linked to two genes – one that governs the desire to consume caffeine and one that determines how it’s metabolized – according to recent analyses of the human genome. That’s probably why some people crave caffeine more than others or can drink coffee after dinner and sleep like a baby. One way to cut back Order iced coffee in the same size as your regular cup. The more ice, the less caffeine. The nutrition pros took a look at some widely sold foods, drinks, and other products to see how caffeinated they really are. Finding the amounts of caffeine lurking inside wasn’t always easy, which is why it’s tricky to monitor how much caffeine you’re taking in. they looked at labels and websites and called manufacturers when info wasn’t otherwise available. What they found was eye-opening: There can be big differences among very similar products such as cups of coffee, varieties of tea, and cans of soda. They also found caffeine in some places you’d never think to look, like beef jerky and lip balm. You can test almost anything at home, but should you? When you feel a weird ache or other mysterious symptom, you want to know right away what’s causing it. That’s why we’re so quick to Google symptoms or grab kinds of self-screening diagnostic and monitoring kits at drugstores and online – and they can seem like a fast, private way to find out what’s going on with your body. But they’re not always a good idea, even though the Food and Drug Administration requires companies to demonstrate that their home tests are safe and effective. Also, a home test should never replace a doctor’s visit. ShopSmart reviewed the latest research and consulted with experts to find out which ones make sense, and which ones don’t. Why it works Regular readings can help patients adjust their diet, exercise, and insulin doses. That reduces the risk of health problems that stem from poorly controlled blood sugar, including blindness and nerve damage. 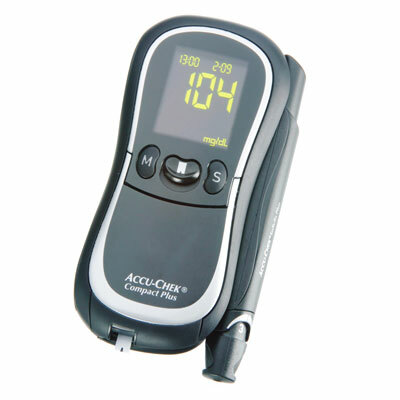 Price $20 for the Accu-Check Compact Plus, which topped the most recent tests. Why it works Doing several readings over a week is the best way to stay on top of the condition. Another benefit: no risk of “white coat hypertension”, or elevated readings at your doctor’s office because of nerves. Price Top-rated in the latest tests: the 7 series BP652 wrist monitor ($60) and the Omron 10 Series BP785 arm monitor ($80). Why it works This test, which should be done annually between routine colonoscopies, can be even more effective than an in-office test. That’s mainly because the office test analyzes only one stool sample; the FDA and medical experts recommend three tests over a day or two. Why it works The test measures vaginal pH and can detect an infection but can’t necessarily tell what kind it is. Sometimes infection can be treated with an over-the-counter drug. But see a doc if symptoms don’t improve. Why you should skip it This test measures glycated hemoglobin, or HbA1c, an indicator of average blood glucose over the previous two to three months. That can be a useful tool for managing diabetes. But “there’s nothing the patient can do with the results at home”. Better to have it done in your doctor’s office, along with tests to monitor kidney function, blood pressure, circulation, and other measures of health. Why you should skip it If you’re having irregular periods, hot flashes, or other symptoms associated with menopause, checking for an increase in FSH in your urine can help confirm that menopause is underway. But even if yoru FSH level is high and you’re in perimenopause, you are still ovulating intermittently and can still become pregnant. 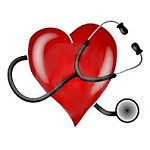 Why you should skip it Your total cholesterol reading – which includes HDL (good) and LDL (bad) numbers – is only one of several factors doctors use to determine whether to prescribe a cholesterol-lowering statin drug. Unlike blood glucose and blood pressure, cholesterol levels don’t change much from day to day and don’t require frequent dosage adjustments. Why you should skip it C-reactive protein is a marker of inflammation that’s linked to rheumatoid arthritis, lupus, and coronary artery disease. But the tests can be hard to read and haven’t proved to be effective. Why you should skip it Home-test results are helpful only if your doctor is willing to call in a prescription for antibiotics without seeing you, which many are not. It is accepted that there are risks associated with working at computers. As a result regulations and guidelines have been introduced to control these risks, and to provide computer users with information that will help them reduce or avoid their exposure to these risks. How can you be at risk from your workstation? There are three main risks to your health associated with working at a computer. Any element of your workstation that is not set up properly may cause stress. Stress leads to physical tension, which in turn leads to fatigue. A fatigued person is vulnerable to further stress… …and therefore susceptible to problems arising from poor health due to stress. …and therefore susceptible to problems arising from poor health due to stress. Pressures at work which can cause stress are known as Psychosocial Factors. No posture, however correct, should be maintained for long periods of time. Using a computer requires your body be in a mostly “static” posture (not moving). This reduces blood flow to your muscles and can cause muscle fatigue. Muscle fatigue can in turn cause discomfort and is a risk factor for RSI. To avoid this, change your posture regularly and take breaks. You’re sick or hurt; what do you do? These guidelines can help you decide whether you need the paramedics — or just a pair of tweezers. Call 911 if… you or someone else has trouble breathing; crushing chest pain; severe bleeding; signs of stroke, heart attack, or shock; or a fall causing immobility or head trauma. Go to the ER if… the concern requires immediate attention or possible hospitalization, like appendicitis symptoms, extremely high fever, dehydration, eye injuries, or infections that need intravenous (IV) treatment. The CDC estimates that only 12% of emergency room visits are warranted. Take advantage of a nurse hotline to decide. If you choose the ER, be prepared for long waits and high costs. Check in at an urgent care facility if… it’s clear your condition isn’t life threatening, but it’s after hours or your physician is booked for the week. Some problems may include strep throat, broken fingers, or lacerations. Call ahead — clinics vary in the services they offer. While some perform EKGs, blood tests, and X-rays, others just handle patient exams and prescriptions. Stay home if… your doctor’s given the green light. Most flus, stomach bugs, light sprains, and noninfected cuts can be cared for with fluids, ice, ointment, and band-aids. The rule of thumb: When in doubt, call 911 for emergencies, otherwise your doctor.